High potency drugs place demanding requirements on blister machinery. The provision of adequate operator protection and the need to seal the blister inside an isolator are just some of the customer demands for such packaging equipment. These complex requirements often result in a trade-off in flexibility and scalability, and commonly, solutions become dedicated to limited product or pack formats. 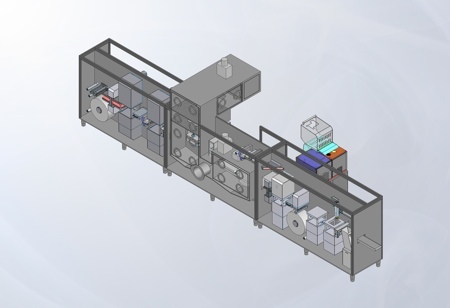 Rohrer and Skan’s answer to this challenge is a novel blister machine that is fully-contained and has integrated systems that enable the safe and flexible development or production of both class 3 and 4 compounds. This new development combines advanced isolator technology with an operator friendly and highly flexible blister machine. Often with such equipment, as the flexibility increases the risk of cross-contamination rises too. 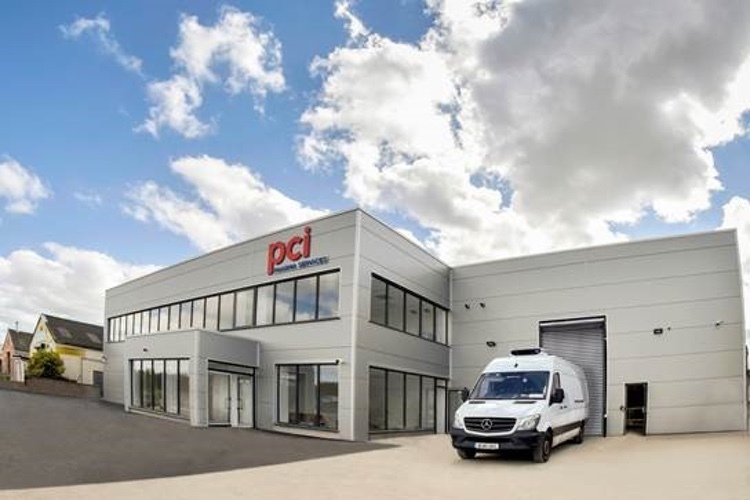 Making a machine suited to both development and full-scale production, therefore, required an integrated isolator along with an ingenious cleaning system. The concept behind the machine is simple – the sealing station inside the isolator creates an envelope around the whole blister, making it “safe”. Once outside the isolator, a heat sealing station completes the process by sealing around each of the blister pack cavities that hold the highly potent drug. Normally, when high potency drugs are packed inside a high potency suite, personal safety equipment is required to protect the operators. The integrated isolator eliminates the need for this costly and time-consuming equipment while guaranteeing the highest level of operator and product protection. Scale-up to manufacturing for high potency drugs is beset with obstacles. Samples manufactured on small-scale manufacturing processes cannot always be up-scaled easily, and using different equipment can complicate the regulatory process. Production machines often bear little resemblance to those used during proof of the drug’s efficacy. This blister machine, however, can be used as a development machine for small clinical trial batches as well as for full-scale commercial production, achieving speeds of up to 60 cycles per minute. From the regulatory standpoint, the basis for development and commercial production is identical, which can streamline the validation and registration process substantially. This particular equipment design means that every blister unit is individualised and controlled. The blister machine monitors the production process closely. Each process step is verified and controlled, resulting in higher yields as well as improved operator comfort and productivity. 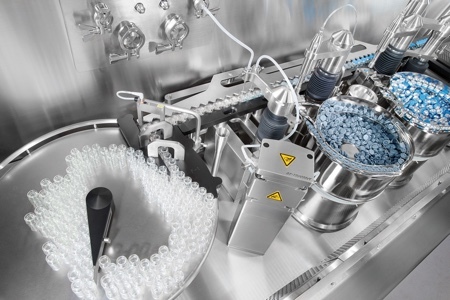 The dedicated Cleaning- and Washing-in-Place (CIP/WIP) systems in the containment areas enable the machine to pack solid dosage forms reliably and safely, such as hormones, cytostatic drugs and other highly active substances. “Black” machine drive areas are segregated from “white” product contact areas. The design gives careful consideration to both ease of operation as well as ease of changeover. Servo drives and automatic tool recognition systems allow for complete control via the colour touchscreen human machine interface (HMI), helping to eliminate manual errors and speeding up changeovers. 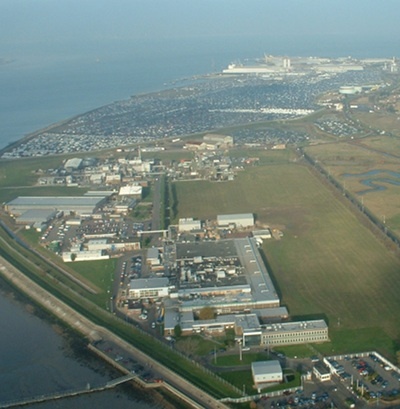 In the pharmaceutical sector, situations can change quickly; for example, often products do not make it through clinical trials and beyond, so equipment adaptability is important to drug manuafcturers. Critical to future-proofing the machine was the need to run multiple products on the machine and to make it adaptable to future requirements. The resulting modular design allows for a new module to be retrofitted into the machine as and when requirements change. The machine also offers reliable and demonstrable residue-free cleaning of product contact machine parts and care has also been taken to eliminate dead spots and ensure perfect air flow. All these factors enable the same machine to be used for the development and production of various different substances both now and in the future. The exacting requirements of cGMP and CFR21 part 11 have been fully considered and the machine is able to handle all commercially available foils. 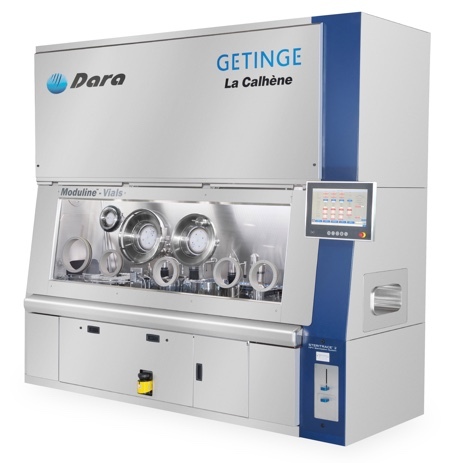 This new development provides a state-of-the-art containment blister machine for packaging highly potent drugs with complete and reliable protection for those people working in the production environment, while optimal operator ergonomics and other design features ensure the productivity of the system.